I require that my margaritas be very strong and very sour. I actually prefer all my cocktails this way. I want practically no liqueur or sweetener or anything--just the good top shelf booze, tons of citrus, and a fun addition like ginger or cucumbers or jalapeños. I like my drinks fresh and herbaceous and bursting with bold flavor. If you ever go out to drinks with me, you'll probably hear me quizzing the servers about the sweetness level of their drinks. I'll often skip the house menu and just flat-out order a mojito with no sugar or a margarita with no triple sec or just plain old good tequila with soda and lots of limes. Sometimes bartenders get what I want and deliver right away. Sometimes they will push me on it..."It's going to be too sour," they say. "Do you want splenda in it?" "Did you mean tonic?" The worst is when they think that by "super sour" I mean I want sour mix in my drink. Gross. No and no and no. I want exactly what I ordered, thanks. I know what my mouth likes. 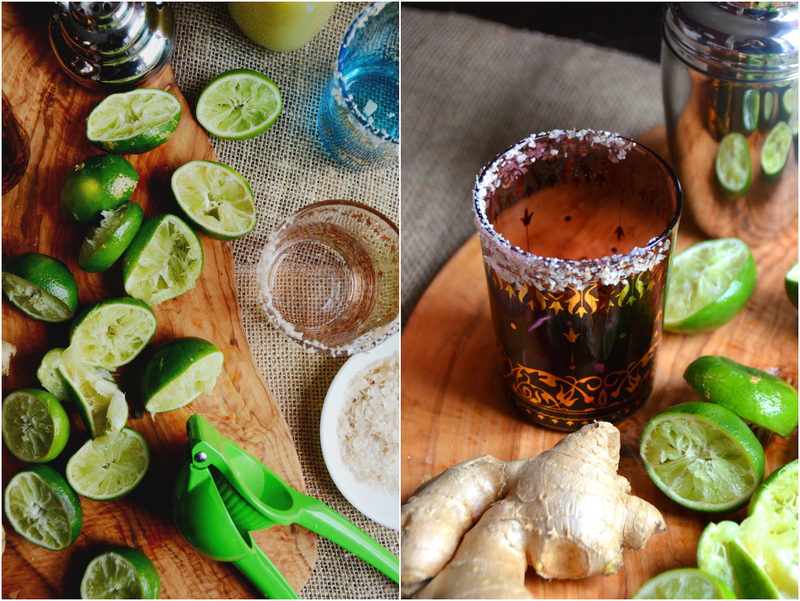 Made with fresh ginger root and tons of fresh lime juice (and really good tequila! ), it's tart and spicy and balanced out with just a hint of sweetness. I used Domaine de Canton in place of the traditional triple sec. Domaine de Canton is a French ginger liqueur that I fell in love with the second I first tasted it. I immediately went out and bought a bottle, and love doling out a bit of that gingery flavor in my favorite drinks. If you don't have it, a good orange liqueur like Cointreau will work well, too. The fun part of this recipe is the fresh ginger tequila, which is like a turbo-charged ginger-infused tequila. I made it by pureeing fresh ginger root (no need to peel!) 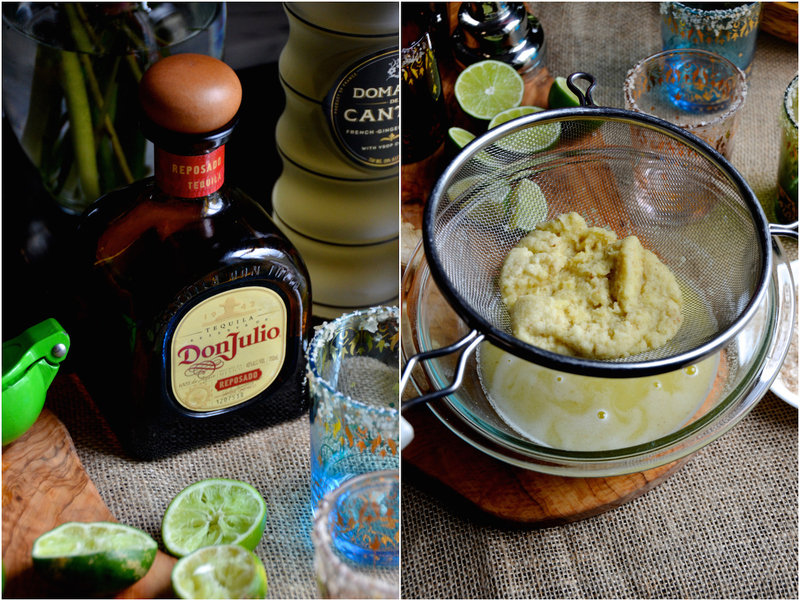 with reposado tequila in a blender, then filtering it through a fine sieve and paper towel. Takes a few minutes, but then you end up with a super gingery tequila that's the perfect base for this cocktail. 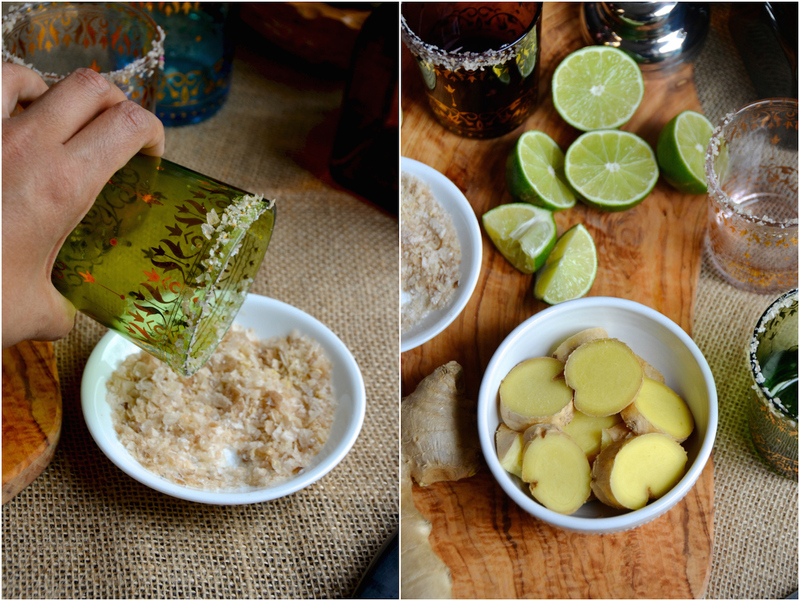 The recipe below makes four drinks (about a cup of tequila), but you can double or triple it so you have the gingery tequila ready to go for drinks all summer long! Oh and for another extra hit of ginger? I added a bit of powdered ginger to the salt rim. You can skip it if you don't have any, but it's pretty great if you're a ginger fan. Use good tequila. Choose something that's 100% agave and preferably reposado (which means it's been aged). This is a strong drink with 2 full ounces of tequila and barely any sweetener so it has to taste good on its own. Use fresh limes. You need to squeeze these limes yourself. About 8-10 limes should get you the amount you need, depending on how juicy they are. Don't use anything bottled. 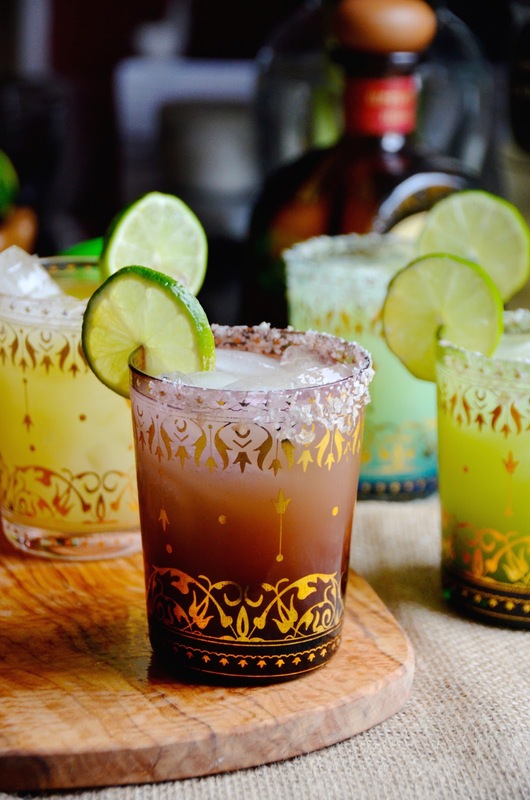 This cocktail recipe is my contribution to the super fun Margarita Week spearheaded by the amazing Kate Ramos (no relation) over at Hola Jalapeño. 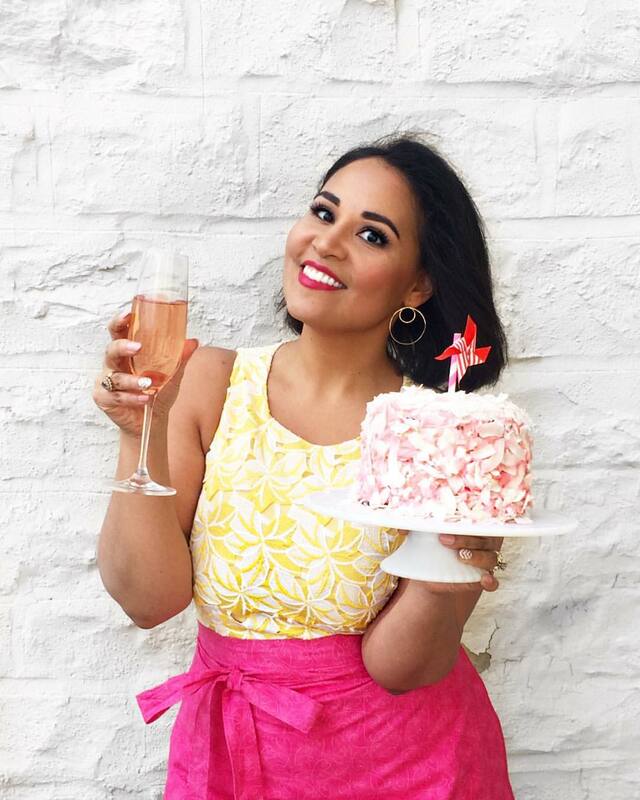 Every single day this week (leading up to Cinco de Mayo), she and other blogger friends will be sharing amazing margarita and margarita-inspired recipes to get you excited about this first summer party of the season. 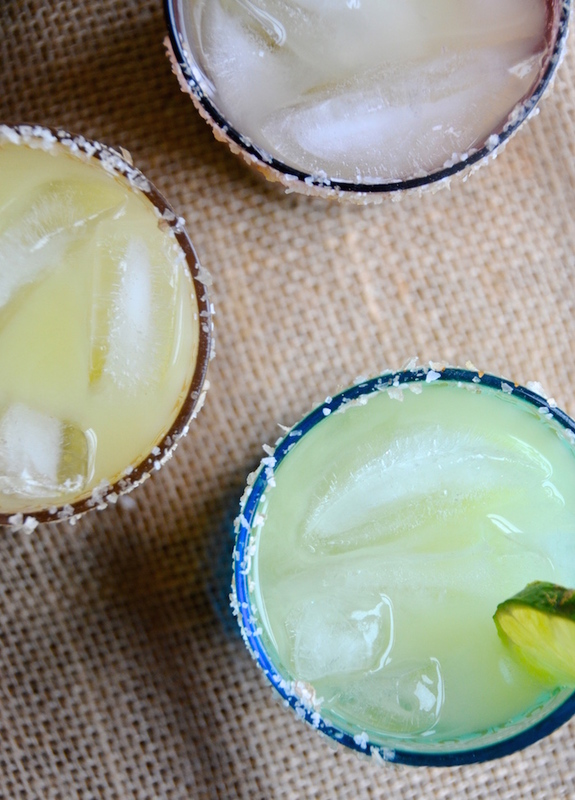 Check out the hashtag #MargaritaWeek on Instagram for more fun cocktail ideas! 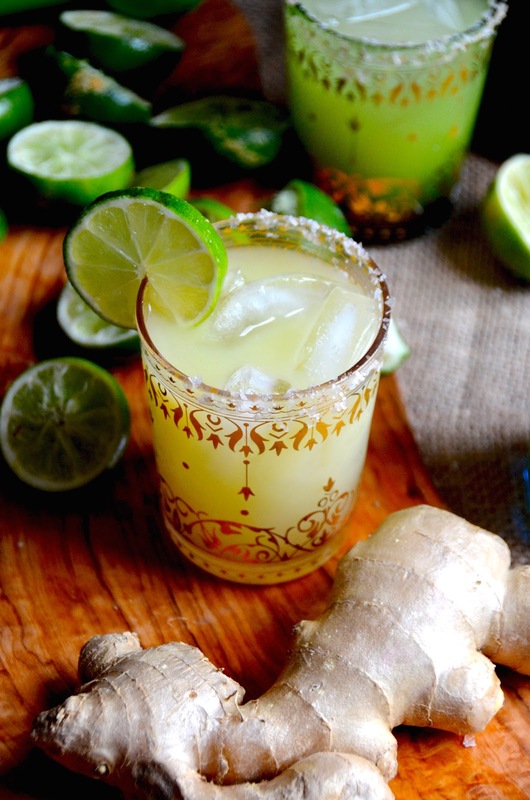 Make the ginger tequila: Combine the tequila and ginger root in a blender or food processor, and puree until smooth. Pour through a fine sieve to remove the fibers from the ginger (do not press through the sieve; just let it pour through and shake the sieve a bit). Then filter a second time by pouring through a paper towel or cloth to collect any smaller fibers. Measure remaining tequila. You should have exactly one cup; add a bit more tequila if it's not quite at one cup. Whisk the sea salt and ginger together in a shallow plate or bowl. Rub a lime over the rim of four cocktail glasses, then dip in salt mixture to coat. Fill glasses with ice. In a medium pitcher, combine ginger tequila, lime juice, and Cointreau (or other liqueur you're using). Stir well, then divide evenly into ice-filled glasses.